You're 24 years old and you're having trouble remembering names and movie plots. It's slightly troubling, but you pass it off to having millions of impressions and images bombard your brain every day. After all, you're too young to have Alzheimer's - right? If you're white, you probably have the gene that increases your risk of developing Alzheimer's disease (AD). That's not all the bad news. This gene starts doing its damage decades before AD reveals its ugliest sides, even though symptoms don't show up for years. In startling new research conducted by the University of California Los Angeles, it's now known that 88 percent of Caucasians carry a gene that dramatically increases the risk of developing Alzheimer's. Since the early 1990s, scientists have been showing strong genetic links to Alzheimer's. Here's a little background. Since its discovery, scientists haven't known exactly what this gene - CLU - does. UCLA researchers have discovered its function, and the findings aren't very uplifting. CLU begins to damage your brain about 50 years before the time folks usually get Alzheimer's in their 60s and 70s. And while you won't have any real symptoms, the deterioration is silently under way. What exactly does CLU do? The UCLA research team has discovered that the C-allele (an allele is one or more forms of a gene) of CLU interferes with the proper development of the protective covering around certain brain cells. And when this covering - known as myelin - becomes weaker as a result, the brain is more prone to developing Alzheimer's much later in life. Researchers made this discovery after scanning the brains of 398 healthy young adults ranging in age from 20 to 30. Advanced MRI technology that maps the brain's connections was used. Scans of people carrying a C-allele variant of the CLU gene (abbreviated as CLU-C) were compared with those who had a different variant. CLU-C carriers had what researchers describe as less white-matter integrity in multiple regions of the brain that may increase risks of developing the disease later in life. One of the study's authors, Meredith N. Braskie, Ph.D. with the UCLA Department of Neurology, tells dailyRx what this all means in simpler terms. 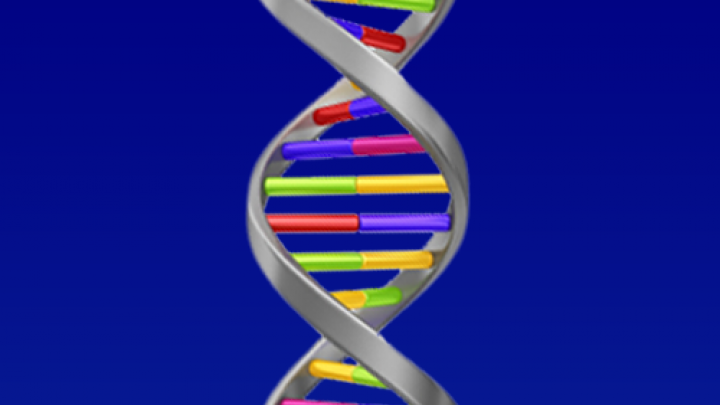 "The CLU gene has a variant that increases the risk for Alzheimer's disease. In healthy young adults, we found that this variant weakens many white matter pathways that connect brain regions, including several pathways that are later affected by AD." Braskie explains. She continues, "This is probably not the only way the gene variant increases AD risk. However, this effect makes the brain more vulnerable to degeneration from AD that may occur later in life." "1) This risk gene damages your brain a full 50 years before people normally get Alzheimer's. The damage can be seen on an MRI scan, but there are no symptoms yet. 2) It's now known what this mysterious gene does — namely, make your brain wiring vulnerable to attack by impairing the wiring before any senile plaques or tangles develop. 3) Rather than being a gene that few people have, a whopping 88 percent of Caucasians have it. 4) Finally, Thompson said, knowing the role of this gene is useful in predicting a person's risk of the disease and in seeing if you can step in and protect the brain in the 50-year time window you have before the disease begins to develop." Why doesn't Alzheimer's show up in the young? If this gene is so common, an obvious question is why don't young people have Alzheimer's? Thompson says the brain compensates for the assault on its myelin with built-in back-up systems in the "miles and miles of brain connections." But over time, the effects of the deterioration begin to appear and are made worse by brain cell death that naturally occurs with aging. Thompson notes that in the early stages of Alzheimer's this reduced myelin integrity could encourage or speed up cognitive decline. Braskie says, "It is in a way similar to how a cold virus would affect a person; those who are overtired may be more likely to feel cold symptoms even though the virus caused the cold, not the exhaustion itself." The mapping of structural brain differences in those at genetic risk for Alzheimer's disease is crucial for evaluating treatment and prevention strategies, Thompson said. "More people carry this risk variant than not," adds Braskie, "so it is very important for us to understand what it does and how it contributes to cognitive decline." Once brain differences are identified, they can be monitored to see if and how lifestyle choices impact brain health and disease risk. "We know that many lifestyle factors, such as regular exercise and a healthful diet, may reduce the risk of cognitive decline, particularly in those genetically at risk for Alzheimer's, so this reminds us how important that is," Thompson concludes.